Items that are greyed out indicate discontinued UPCs. Ingredient Water/Eau CAS# 7732-18-5 Function DiluentAdjusts the concentration of ingredients in a product to deliver target benefits. 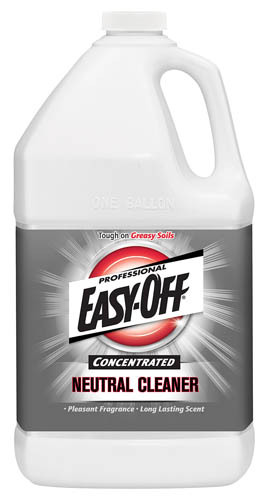 Ingredient C9-11 Alcohols Ethoxylate CAS# 68439-46-3 Function Nonionic SurfactantSurface-active agent helps remove dirt, stains, and bad smells. Nonionic means it has no charge. Ingredient Sodium Gluconate CAS# 527-07-1 Function Chelating AgentBinds hard water and other minerals to allow the cleaning actives to perform more effectively. Ingredient Sodium Carbonate CAS# 497-19-8 Function Complexing/Sequestering AgentBinds hard water and other minerals to allow the cleaning actives to perform more effectively. Ingredient Polymeric Blue Dye CAS# Proprietary Function DyeChanges the color of a product (includes dyes and pigments). Ingredient FD&C Yellow 5 CAS# 1934-21-0 Function ColorantChanges the color of a product (includes dyes and pigments). The list above contains the product ingredients listed in descending weight percent. The ingredient names use the INCI (or equivalent) nomenclature system. Click here for more information on the nomenclature system. RB products are sold in nearly 200 countries, with offices in 60. RB's work with Save the Children has reached 1.6 million children all over the world. By 2020, RB's aim is to have 100% coverage of ingredient transparency.